The Volkswagen Golf is world-renowned as a “do-everything” vehicle, one that comes with a body style and feature package to suit whatever your drive style is. With that, we’ve got some great news! The entire Volkswagen Golf line (including the standard Golf, Golf R, Alltrack and GTI) was named to Car and Driver Magazine’s “Best10” list! 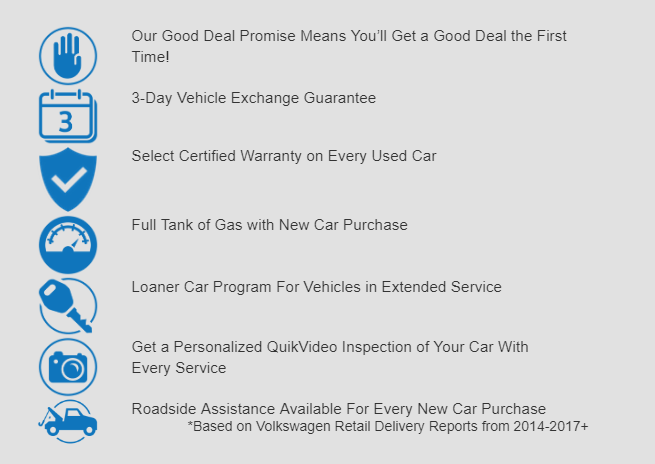 We’ll take you through a rundown of each of them and help you figure out which vehicle is best for you! What is the Car and Driver “Best10” list? 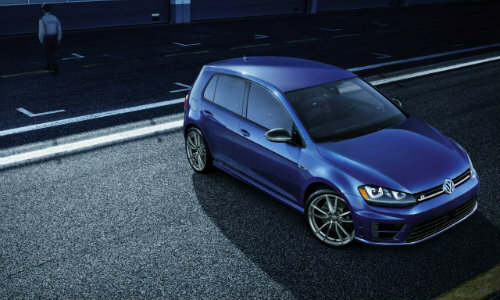 Obviously, this is a huge honor for Volkswagen and the Golf family alike. Every year, Car and Driver puts together a list of its 10 favorite new cars, judged by performance, appearance, innovation and anything else you could think of! 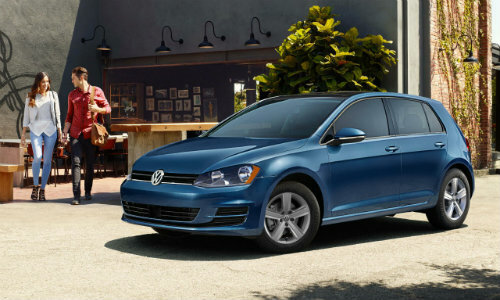 All four Golf models that we have available made the cut, and we’ll let you know about each one! To the untrained eye, the Volkswagen Golf family of vehicles looks like it’s pretty much the same car, right? Well, they all have some pretty significant differences that all work to give you the best driving experience possible no matter what you’re setting out to do. Check the Golf trims out! The Golf base model doesn’t slack. It offers up to 36 highway miles per gallon and over 53 cubic feet of storage, more than enough room for whatever life has in store for you. Okay, now let’s have some fun. The Golf R features a 2.0-liter TSI engine that cranks out up to 292 horsepower, and 4MOTION® traction control keeps all those ponies on the road. 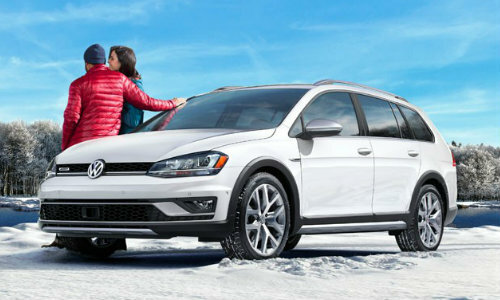 Featuring a revamped lower body styling, 4MOTION® All-Wheel Drive capabilities and a strong engine, the Golf Alltrack is more than capable of satisfying the adventurer in all of us. 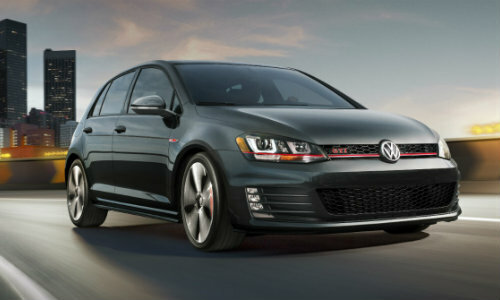 The Golf GTI is the perfect blend of performance and technology. While you’re driving on its turbocharged engine, keep safe on the road thanks to a built in rear camera and Front Assist. Check out some new features on the 2017 Golf Alltrack! If you’re interested in seeing more of what the Volkswagen Golf line has to offer, feel free to contact our team at Owens Murphy! We’ll get you behind the wheel for a test drive and discuss financing options if you’re convinced that these hatches are the best for you.